The rich and colorful history of the Parish under the Patronage of St. Paul, Apostle to the Gentiles chronicles a long, sometimes arduous, occasionally contentious, but ever glorious journey. Our history is replete with wrenching setbacks and magnificent triumphs, controversy and serenity, as well as heroes, benefactors and advocates, all dedicated to the growth, progress and vitality of St. Paul’s. The names of all those who achieved so much for St. Paul’s do not matter so much as their deeds, and their deeds were acts of faith. The history of St. Paul’s parallels the story of the creation, struggles, and evolution of almost any Church, of any denomination, in this country. Our story is one with congregations everywhere. But this story is uniquely St. Paul’s. The church that has stood at the southeast corner of Abercorn and 34th Streets since 1907 can trace its origins directly back to 1852 and the creation of the City Mission, under the visionary leadership of The Rev. Thomas L. Smith. The Mission, supported by both Christ Church Parish and St. John’s Parish, was a “Free Episcopal Church,” which meant it did not levy rent for its pews. Thus persons of meager incomes were not excluded from the life, work and worship of the Episcopal Church. The Mission proved so successful that by 1857 $15,000 had been raised to build a House of Worship on Calhoun Square. This in part was due to the terms of a legacy left by Mrs. Dorothy Abrahams of Savannah, and the generous offerings of members of Christ Church and St. John’s. It served as the home of St. Paul’s until it was closed in December, 1864 by the Rev. Dr. John Easter, who fled with the retreating Confederate troops to South Carolina as Gen. W. T. Sherman’s army was seizing Savannah. St. Paul’s building was pressed into service as a military hospital during the Federal Army’s occupation of the city and suffered severe depredations, including the loss of all sacred furnishings and the destruction of its imposing East Window. But worse was to come for the first St. Paul’s. The church was destroyed by fire in 1866, but accounts of the cause are contradictory. One report said the church was accidentally burned by “some boys celebrating Christmas in our noisy Savannah way,” but another account claimed the fire was deliberately set as retribution “because the Yankees put Negroes in it.” Whatever the cause, the result was the same: the church was burned to the ground and the parishioners were without a place to worship. The loss of the church and the impoverishment that followed the War Between the States forced what remained of the parish back upon the care of St. John’s Parish, whose Church Aid Association secured new property in 1868 for a “Free Church” at Huntington and Tattnall Streets. The Association also raised funds for a curate to head the Mission, which was eventually known as St. Matthew’s Chapel of St. John’s Parish. A series of reversals, including the devastating yellow fever epidemic of 1876, severely limited the growth of St. Matthew’s Chapel until 1889, when the congregation moved into a new building at Duffy and Barnard Streets, what was then the southern edge of the city. This became the home from which St. Matthew’s Chapel was admitted into the Diocese of Georgia as St. Paul’s Church in 1892. The Rev. Owen P. Fitzsimmons, curate of St. John’s and Vicar of St. Matthew’s became the first rector since Dr. Easter closed the old St. Paul’s on Calhoun Square. This building, which still exists, housed a number of Christian congregations until its conversion into condominiums in 2007. Sweeping and sometimes controversial changes in worship were made by the fourth rector, the Rev. John Scully. Under Fr. Scully’s leadership, St. Paul’s adopted ancient Catholic customs in its worship, including a weekly celebration of the Eucharist on Sundays. Not considered a “High Churchman” by contemporaries, Fr. Scully was denounced by conservative Savannah as a “Jesuit in disguise, leading the church to Rome.” He insisted that Eucharistic candles be placed on the altar, that the choir be vested, and that women and girls wear veils or head coverings at confirmation. At every celebration of the Holy Eucharist, the congregation was reminded not to leave church from the start to the conclusion of the service, and Fr. Scully was the first priest to wear the complete and ancient vestments associated with the celebration of the Eucharist. This style of vestments, while unusual in those days, today is the accepted norm in the majority of Anglican parishes throughout the world. When British residents of the city formed the Victoria Society and sought to memorialize the late Queen Victoria, they turned to St. Paul’s. As a permanent memorial, Fr. Scully suggested a Processional Cross, which continues in the service of the Parish today. Inspired by Fr. 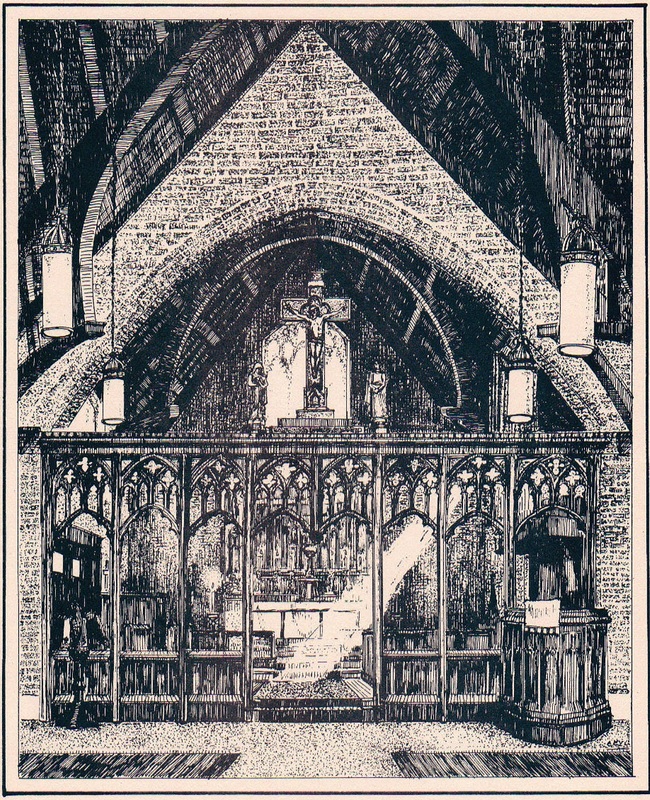 Scully’s vision of a “free pew” church, Mrs. Eliza Lewis Clinch, a parishioner of Christ Church, made a bequest of property to St. Paul’s, which the Parish gained in 1905. Mrs. Clinch’s gift was valued at $40,000 and the leaders of St. Paul’s, under the rectorship of the Rev. Gilbert Ottman, decided the land would be sold to finance a new structure. The building at Duffy and Barnard Streets was sold to the Greek Orthodox Community, who retained the name and patronage of St. Paul the Apostle. Those two property sales provided the funds to purchase the parcel at Abercorn and 34th Streets for the new home of St. Paul’s Church. To this day, anyone who entered St. Paul the Apostle owes a deep debt of gratitude to Mrs. Clinch, whose generosity made the building possible. John Sutcliffe, the noted Chicago architect chosen to draw the blueprints for the new St. Paul’s, modeled his plans on the English Gothic style of the 14th Century, specifying brick instead of the stone usually used in English churches of that period. With its soft red Augusta brick exterior, St. Paul’s blended well with the residences of its fashionable neighbors. The interior walls are Birmingham red brick with no mural adornments and the darkened trusses and timbers of the roof are native Georgia heart pine. The carved wood furnishings were fashioned by the Manitowoc Seating Co. of Wisconsin, including the reredos, pews, chancel rail, rood screen, pulpit and statues, all were crafted by workmen trained in the renowned village of Oberammergau, Germany. The great West Window, executed by Mayer Studios of Munich, Germany, depicts Jesus blessing the little children, a design chosen by its donors, Mr. and Mrs. Harvey Grainger, to honor the memory of their infant son. In total, the interior of St. Paul’s has a distinct and unique character, imparting an atmosphere of tranquility, majesty and mystery. The cornerstone of the new St. Paul’s was laid on the Feast of the Conversion of St. Paul in 1907. During the construction phase, Fr. Ottman left the rectorship and was succeeded by the Venerable Samuel B. McGlohon, who became rector in October 1907. Fr. McGlohon assumed his responsibilities, which he would fulfill for the next 24 years, with the first service in the new church on November 17, 1907. In addition he served as Archdeacon of Savannah for twenty of those years. The Rt. Rev. Frederick Resse on the Feast of the Conversion of St. Paul consecrated the building in January 1917, when the church became debt-free. During Fr. McGlohon’s tenure, a daily celebration of the Eucharist was instituted and the worship continued to develop in a pattern that was both dictated and enhanced by the building. In 1927 the construction of the parish house was completed, giving St. Paul’s the means for a creative parochial ministry. But tragedy struck twice that year. First, while building the parish house, a roof truss fell and fatally injured the construction supervisor. Then Pattie McGlohon, the youngest daughter of Fr. and Mrs. McGlohon and a beloved Sunday School teacher, died. The Church School donated a “Children’s Corner” in her memory. Early in Fr. McGlohon’s ministry at St. Paul’s, Robert Marlow was Superintendent of the Church School and is credited with laying the foundation for Catholic faith and practice as we now have it. Mr. Marlow married Jane McGlohon and studied for holy orders. Following his ordination to the priesthood, he was called to Alabama where he served his entire ministry. In retirement, Fr. Marlow assisted at St. Paul’s and other area churches and missions. He died in 1979 and the church bell now rung in St. Paul’s yard is in memory of him and his wife, who died in 1982. During World War II, the Rev. William H. Brady assumed the leadership of St. Paul’s and immediately set a dual course of both stability and change at St. Paul’s. He dramatically reduced the financial indebtedness of the Parish and persuaded the Vestry to purchase a rectory at the northeast corner of Lincoln and 34th Streets. The statutes of St. Peter and St. Paul on the reredos were added and a shrine for the statue of the Blessed Virgin, carved by a Sister of the All Saints Sisters of the Poor, was installed in the south transept as a memorial to those who had died in our country’s service. A staunch defender of the Catholic faith as received by the Anglican Church, Fr. Brady later served in Alton, Illinois and was consecrated Bishop of Fond du Lac, Wisconsin in 1956. In retirement, he and his wife, who was reared in the parish, remained devoted friends of St. Paul’s. Bishop Brady served as interim Rector in 1982 and as Superior General of the Confraternity of the Blessed Sacrament presided at the Annual Conference of the Confraternity held at St. Paul’s in 1989. 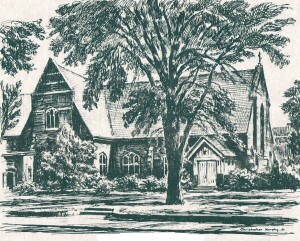 St. Paul’s continued to prosper and evolve under the leadership and encouragement of the Rev. Canon Theodore P. Ball, who became rector in 1948. One example of Fr. Ball’s steadfast leadership occurred in January, 1959 when fire broke out in the parish house and gutted the building. To save the Blessed Sacrament, Fr. Ball smashed through a church window and, despite dense, choking smoke, struggled into the building. At the time he was recovering from a recent surgery and he reinjured himself while rescuing the Blessed Sacrament, necessitating another operation. Shortly after the fire, Fr. 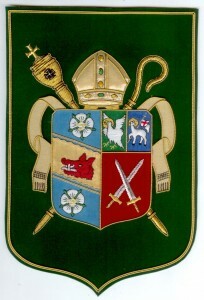 Ball accepted a call to serve the English-speaking congregation of the Cathedral Church of St. John the Baptist in Puerto Rico, where he was created a Canon of the Cathedral by Bishop Reus. In June, 1960, the Rev. Joseph L. Peacock accepted the call to the Rectorship of St. Paul’s and immediately assumed the role of master builder, overseeing the reconstruction of the parish hall and the installation of the new air conditioning system. Levy & Kiley were the architects of the parish hall, and Karl Britten was the builder. Roy Puffman, the Clerk of the Vestry, oversaw the construction. Of the many achievements of Fr. Peacock’s rectorate, the most visible are the majority of the stained glass windows in the church building. The beautiful iconographic style windows, produced by Whipple-Mowbray of Exeter, England, portray scenes from the Old and New Testaments. Depicted are the Great Feasts of the Christian Year, the Twelve Apostles, the Seven Sacraments; the preaching of Augustine of Canterbury, the Kingship of Jesus over Creation, and the Exaltation of Mary, Queen of Saints, along with central events in the life of St. Paul, Apostle to the Gentiles. The window of the Patron was placed in the East Wall and was presented by the congregation in thanksgiving for the live, work and witness of Julia St. Clair Moore, a lifetime St. Paul’s member and longtime parish secretary. A new rectory also was purchased and the new pipe organ, built by Fratelli Ruffatti of Padua, Italy and Rodgers of Hillsboro, Oregon, was installed. In 1975 J. Curtis Lewis donated his mother’s house at 224 E. 34th Street to St. Paul’s, which was utilized until 1982 for an outreach program for recovering alcoholics. Afterward, this program was changed to accommodate a halfway house ministry, known as Hacienda, for women with a history of substance abuse. In 1995, the program was integrated into the broader ministry of Union Mission. In 2005 Union Mission consolidated various aspects of its ministry to women and moved the work to another part of town. It was decided by the Vestry to renovate the property at 224 East 34th Street to serve as the Rectory. Fr. Peacock resigned as Rector in 1977 to become a priest in the Roman Communion. He later served the Roman Catholic Diocese of Atlanta at the Cathedral of Christ the King and was founding pastor of the parish in Duluth, Georgia. The Rev. Hoyt Winslett, Jr., Diocesan Administrator, who was appointed Priest in Charge, replaced him briefly. During his six months at St. Paul’s, Fr. Winslett introduced the use of the current Book of Common Prayer. The Rev. Dennis R. Kuhn,SSC became the new Rector of St. Paul’s in July, 1977 and introduced numerous improvements, including the renovations of the office, Sunday School classrooms and the parish hall, as well as the polychroming of some of the church’s woodwork. During Fr. Kuhn’s term, a Ward of the Confraternity of the Blessed Sacrament was established for the area. Because of his adamant opposition to the admission of women to holy orders, Fr. Kuhn left St. Paul’s and the ordained ministry of the Episcopal Church on the Sunday of the Resurrection, 1982. On Easter Day he and his family submitted to the obedience of the Roman Church. Under the terms of the pastoral provision granted by Pope John Paul II, allowing married priests of the Anglican Communion to be ordained in the service of the Roman Catholic Church, Fr. Kuhn went on to serve parishes and schools in the Diocese of Charlotte, North Carolina. When the Rev. Ronald W. Forsyth, AHC became the Rector of St. Paul’s in 1982, one of his first duties was to plan and oversee the 75th anniversary celebration of the present church building. A striking commemorative plate, featuring the Christopher Murphy line drawing of St. Paul’s, was commissioned and numerous special events were organized. These included Solemn Evensong, featuring the VIIth Bishop of Georgia, the Rt. Rev. G. Paul Reeves as preacher on November 16, 1982, the anniversary of the eve of the first service in the present building. On Sunday, November 21, Bishop Reeves preached at both Masses and Pontificated at the Solemn High Mass. Fr. Forsyth also completed the stained glass window project begun under Fr. Peacock, which encompassed the installation of the windows of the Twelve Apostles in the chancel, as well as the Kingship of Jesus over Creation and the Exaltation of Mary, Queen of Saints windows in the upper transepts. An Associate of the Order of the Holy Cross and a member of the Confraternity of the Blessed Sacrament, Fr. Forsyth taught the Catholic Faith with clarity and maintained the historic tradition of worship for which St. Paul’s had been recognized for years. A legacy of his vision that “a Catholic parish is one that serves” continues today in St. Paul’s resolute commitment to our neighborhood. The seeds of our involvement in the Habitat for Humanity, the Second Harvest Food Bank and the creation of the Food Pantry were planted during Fr. Forsyth’s tenure. He died unexpectedly in 1986..
With the arrival of the Rev. William Willoughby III as Rector in 1987, the work St. Paul’s had begun with Habitat for Humanity and the Second Harvest Food Bank expanded and intensified. The agreement to sponsor Habitat for Humanity’s rebuilding of the house at 214 E. 34th St., involved both providing financial assistance and many hours of labor, was the first of its kind in Savannah. St. Paul’s also became one of the first agents of the Second Harvest Food Bank to distribute government commodities in Savannah. When Habitat sold 214 E. 34th St. to Hope House, a home for single mothers with children, St. Paul’s forged a relationship with our new neighbor, which was formalized when Fr. Willoughby was named to the board. 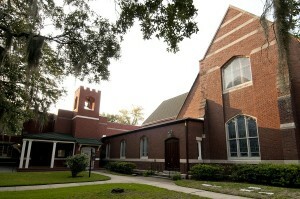 Responding to the continuing financial needs of Hope House, St. Paul’s sponsored the Savannah Flower Festival, which began in 1989. From the first, it proved a showcase for the city’s floral talents plus created a broad base of support for Hope House. After nine years of St. Paul’s sponsorship, the Festival became an independent fundraiser for Hope House. St. Paul’s expanded the Food Pantry to help meet the needs of our less fortunate neighbors. Through relationships forged by the Rev. James N. Parker, who was Parish Deacon, this program grew to include the assistance of other Episcopal churches, such as St. Peter’s, Skidaway Island, All Saints, Tybee Island, and St. Michael’s and All Angels, Washington Avenue. The Food Pantry continues its critical outreach because of the hard work of committed parishioners. In addition, St. Paul’s was home to the Hope School for Hearing Impaired Children, until it closed in 1994. In 1989, when Bishop Shipps appointed Fr. Willoughby Dean of Savannah, St. Paul’s again launched a period of expanding ministry and advocacy. We saw increasing diversity within St. Paul’s and learned the needs of those both inside and outside the church as we concentrated our collective skills to improve our neighborhood, city and Diocese. In recognition of this dynamic, and to meet the need of the Bishop to have a home church, Bishop Shipps set St. Paul’s aside as the pro-Cathedral on the Eve of the Commemoration of the Bestowal of the Episcopate on November 14, 1993. In the context of Evensong, the Vestry entered a Covenant relationship with the Bishop, and Fr. Willoughby was installed as Dean of Georgia. 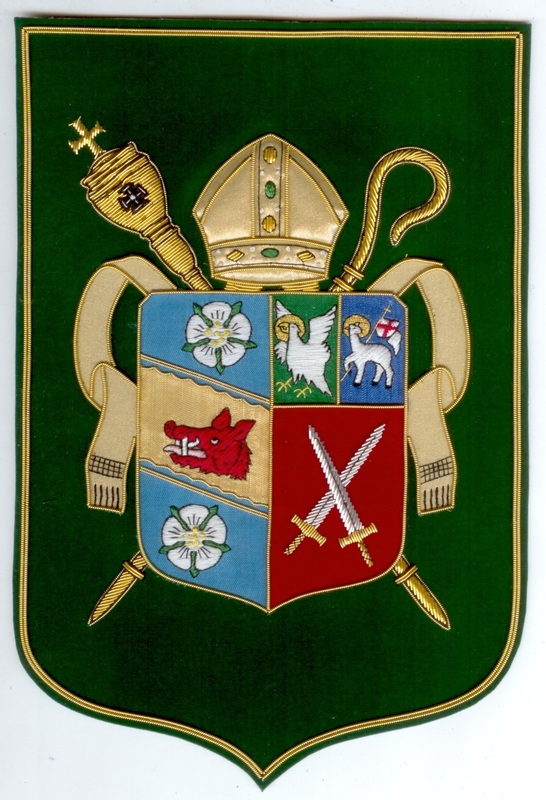 In Eastertide, 1994, Bishop Shipps installed six Honorary Canons, in recognition of their faithful service to the Diocese and proclamation of the Gospel, at a Mass celebrating the Feast of the Ascension. The Rt. Rev. Henry L. Louttit was elected the IXth Bishop of Georgia during a special convention in 1994 at St. Paul’s. After a year and a half of discussion, Bishop Louttit decided he did not require a pro-Cathedral as part of his Episcopal witness. Consequently, as proto-Cathedral of the Diocese we continue to aid the work of the Bishop of Georgia and, in doing so, strive to enter more deeply into our call to proclaim with our resources the good news of salvation given to us through Lord Jesus Christ. To this end, the Parish founded the St. Paul’s Development Corporation to provide affordable housing in our Thomas Square neighborhood. After some false starts, the Development Corporation signed a partnership agreement with Norsouth Corp. for the conversion in 1996 of the Little Sisters of the Poor Hospital at 37th and Abercorn Streets into affordable housing for senior citizens. The project won state and local awards for adaptive use of a historic property. Recently the Development Corporation purchased a half block in our neighborhood and, with the help of Heritage Construction Co., is restoring three two-unit buildings and one four-unit building. In 1993 a mystery of sorts developed when a stained glass window of St. Paul’s was uncovered behind the reredos in the Chapel of Our Lady of Walsingham. Research into its origin revealed that it had been the central panel of the East Window above the High Altar of the church building at Duffy and Barnard Streets. We learned that there had been dissension about its placement in the new St. Paul’s, so it had simply been bricked over and forgotten. After hiding in the chapel wall for 86 years, it now resides behind the baptismal font in a light box beneath the great West Window. In 1996, an icon-writing guild was formed at St. Paul’s under the tutelage of Louise Shipps, an accomplished painter and icon writer. People across the Diocese have benefited from the Guild’s work and numerous icon writers have been trained in this ancient, sacred art form. One of the recent treasures added to St. Paul’s interior is an icon of Hagia Sophia (Holy Wisdom) near the St. Augustine altar, written by Peter Pearson and erected in memory of Billie Carpenter Petway, our longtime director of Christian education. In addition the work of two members of the guild grace the walls of the Church. An icon of the Deis over the credence table and one of St. Joseph in the Chapel of Our Lady of Walsingham. Our magnificent Fratelli Ruffatti/Rodgers organ was rebuilt in 1996 by A. E. Schlueter Pipe Organ Co. of Lithonia, Georgia. In addition to the restoration of the existing ranks, a new console and choir division were added, making the organ an instrument of superior quality and flexibility. In preparation for the 100th anniversary of the current church building, a Capital Campaign was launched in 2005 to improve and conserve the material legacy of St. Paul’s. This Campaign has allowed us to purchase the house at 221 East 34th Street, giving the Food Pantry a more effect home as well as a home for our Youth Minister. The church buildling received a new steel roof, designed to last more than 100 years. The church’s extraordinary stained glass has been restored and flat roof areas of the Canon Theodore Porter Ball House (our parish house) is now watertight. Within Canon Ball House, Bishop Brady Hall has been expanded and upgraded, with independent space for St Paul’s Gift and Book Shop and two offices for assisting priests. One major goal of the Campaign was to make all our facilities accessible to all. Now, with a first class wheelchair ramp and a new elevator, everyone can easily access the entire facility. Extensive renovation to the property at 224 East 34th Street was completed in 2006, and it is now used as the Rectory, further demonstrating St. Paul’s commitment to the surrounding neighborhood revitalization. The building we currently worship in was erected in 1907. The cornerstone was laid on January 25, 1907, and amazingly the entire church was complete enough to celebrate its first worship service later that year, on November 17, 1907. The Parish of St. Paul the Apostle took the entire year of 2007 to celebrate 100 years of sharing God’s Word and Sacrament from our present building. The Centennial Year schedule included events, lectures, concerts and service project opportunities for our members. Read the text of the sermon preached by the John L. Peterson, Canon for Global Justice and Reconciliation at the Washington National Cathedral at the Centenary of St. Paul’s Church on Sunday, November 18, 2007. Our achievements spanning more than 150 years of service in Savannah have been deeply rooted in the sacramental life reclaimed by the vision of the Oxford Movement. As a member of the One, Holy, Catholic and Apostolic Church, St. Paul’s strives to bear witness to our need of God and each other. Like other Anglicans worldwide, we endeavor to instill and nurture a faith that transfigures not only ourselves but also all with whom we come in contact. We continue to write the history of St. Paul’s, at this place and in this time. This is the story of how we began, how we arrived where we are, and where we are headed in the future. At the outset, we promised you a sumptuous and diverse spectrum of heroes, benefactors and advocates, and a grand array of trials and triumphs, dissonance and harmony, aspirations and accomplishment. It is as we pledged. And if we are blessed, our journey into the future will be as filled with glory and wonder as it has been in the past.